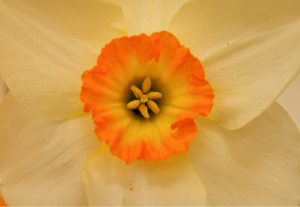 All Saints Anglican Church is proud to be hosting its fifth annual Daffodil Show. Over its short life the show has gained an enviable reputation with professional growers and the local community alike. The flowers are fabulous and entry is free. The weekend of 19 & 20 September will see All Saints Church and Hall bedecked in the glorious colours of daffodils. Come and learn about growing, breeding and showing daffodils, visit the church and see for yourself the fascinating process of restoring historic All Saints Church. Family entertainment abounds: face painting, Zoodoo Petting Zoo, children’s craft, a garden market, The Jesse Tree (All Saints Op Shop), BBQ, and morning & afternoon tea with homemade fare. There will also be live music on the grass: Ethereal (Celtic Harps), Market Lane (a capella) and the Old Time String Band, plus recitals in the church. Lots to see, do and eat! The Daffodil Show includes Community Classes for young and old ranging from a simple arrangement of garden flowers in a vase to photography, original artwork and colouring-in. Budding artists of all ages are encouraged to either colour-in an original line drawing by Rod Barwick or create their own original work. There are two new classes at this year’s show – Champion Camellia and Champion Bonsai. On Sunday afternoon there will be a special ‘Blessing of the Pets’ service. Prizes will be awarded for winning entries in all Community and Standard classes. Exhibitors are encouraged to use their imagination with the vase theme for this year’s show: Coloured Glass. Gumboot ‘vases’ are this year’s new community class. Children and adults are encouraged to sacrifice an old gumboot of any size or colour and use its shape creatively to make an exhibit. So dust off your vases, riffle through the cupboards for that fabulous piece of glass you just haven’t been able to part company with, dig out your oldest gumboot, pick some flowers from your garden and arrange them at the show. Above all, be prepared to enjoy yourselves! Results now available, Click Here!